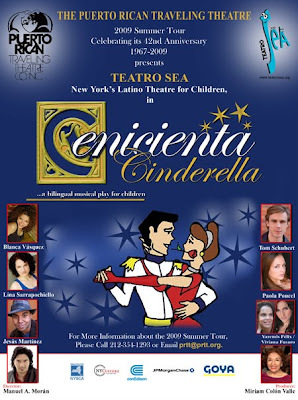 On Saturday, August 16th at 6 PM, join the Friends of Sunset Park in welcoming the Puerto Rican Travelling Theatre's presentation of Cenicienta/Cinderella. It is a bi-lingual show aimed at children, but it will be enjoyed by all ages, I'm sure. Last year's show was a lot of fun, and this year's looks even better.